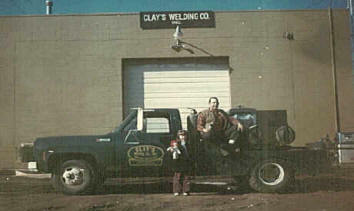 This picture of my Dad was taken in August of 1960 - this was one of his first welding trucks. This is the man that got it all started. He was the best welder in the area. If you don't believe me, just check out his client list. Clay worked on steam pipes under Dulles Airport and the Smithsonian. This shop was located at the corner of Chain Bridge Road and Miller Road. It was the site of various blacksmith shops in the 1800's and other welding shops after 1909. The company would remain in Oakton, Virginia until 1971. The highway department tore the building down when Route 123 was widened. This shop was located at 141 Park Road in Herndon, Virginia. Park was later extended into Grace street and the shop address changed to 850 Grace Street, Herndon. The company would stay at the Grace Street address until the early 2003 when the county would threaten to take the property. The property was sold and torn down and is now covered with luxury townhomes. Another photo of the Herndon, Virginia location. 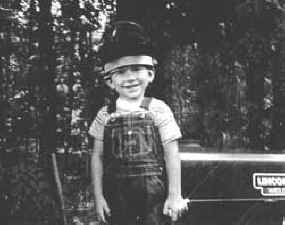 Tommy many years ago - he already wanted to be a welder! Tommy again - see what I mean! Mom took care of all of the paperwork for many years. She kept the company going behind the scenes. 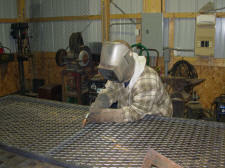 We provided only on-site welding for two years while we found and built the perfect location. 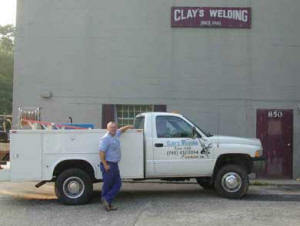 We moved to Catlett, Virginia in 2005 and have been ramping up our in-shop work. We have added several pieces of equipment including a CNC Plasma cutter, a 100 Ton Press, and a 50" 16 gauge Roll so that we can better serve our customers' needs. Please feel free to contact us for more information on the services that we provide. 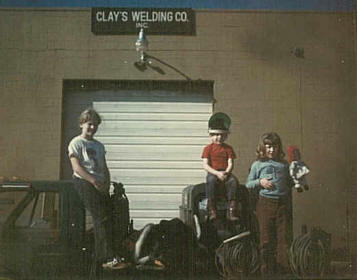 Clay (Dad) passed away in 2010. There isn't a day that goes by that we don't miss him. Tommy and I have kept the business going in his honor. We have worked in this business for so many years that we just love the customers and are excited about our new equipment.